There are 7 reviews of Caprissimo. Supposedly twenty florals went into the making of Caprissimo. The other reviewers on this page each find a few new ones to add to the list. Like Darvant I find a resemblance to a Guy Laroche scent, but a different one, not Fidgi, but J'ai Ose. My nose detects lemon, cumin and myrrh. The florals are so dense that I can not distinguish any particular notes, but jasmine and ylang ylang are most probably present. The osmanthus provides the green impression. Green mossy chypre does seem to be the closest description that we can all agree to. It is by the way very very nice, dry and subtle and old-fashioned in a very good way. My fifth Carthusia and my fifth thumbs up! Carthusia Caprissimo hangs out by soon in its basically old-school sensual/soapy chypre "status" (at the beginning somewhat lemony-medicinal and probably aldehydic) before to inebriate us with its specific hesperidic-floral chic (osmanthus centered) subtleness so pungent, humid and intensely exotic (ylang-ylang??). The initial (hard to deal with) lemony-herbal transition phase is long term and slightly messy before the elements keep to take each one its own specific "sensible" settlement. I quite love the note of osmanthus since it "sounds" to me like one of the chicest elements of the "For Lady" perfumery, so princely, "piquant", fresh and forbidding. In Caprissimo this "lofty" sharp/green floral element, set in the middle of a classically aldehydic/hesperidic/mossy/resinous accord and flanked by further subtle floral "subjects" (sharp and earthy-lymphatic), elicits an unquestionably refined summery spark. Hesperides, animalic oakmoss, organic resins (absolutely well calibrated) and sharp floral leaves provide a sort of salty-organic (vaguely honeyed and lemony) undertone. 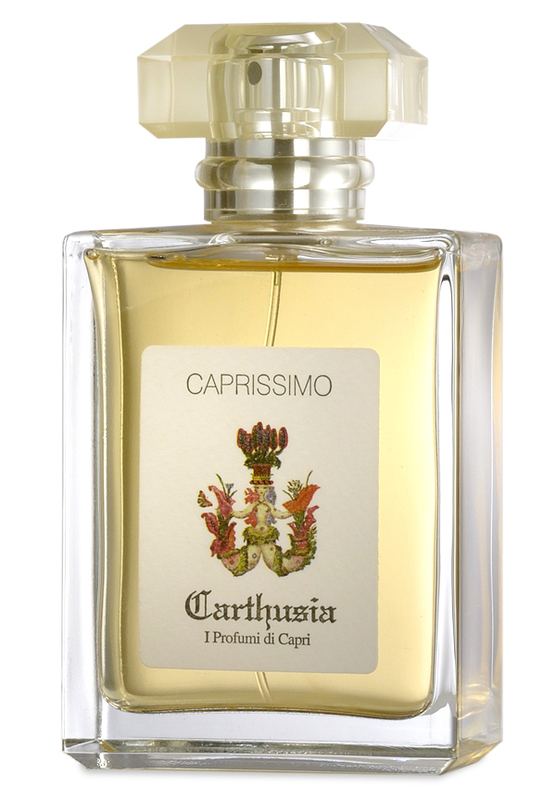 Frankly I don't find the Caprissimo's aroma particularly synthetic and, in spite of its definitely classic inspiration (yes I detect the significant resemblance to Guy Laroche Fidji), it preserves an its own full dignity. The dry down (still basically dry) is a mossy-chypre modern floral accord full of freshness and soapy-floral "yacht club-like" elegance. My medium rating is basically "set" over the strongly "reminiscent" inspiration and the long phase of settlement more than over the aromachemical-based approch (which I don't detect so disturbing) or a lack of distinction. A sumptuous floral scent full of itself which tries to look like a"golden era" Caron or Guerlain, acting all opulent and feminine, while it's basically a dull chypre stuffed with synthetics and aldehydes good for rich and tasteless tourists visiting Capri. The quality in my opinion is really modest, artificial to all extents (synthetic oak moss, synthetic flowers). Not horrible, although the opening is humid, heavy and strong as hell; but a bit cheap and much pretentious. The lemon opening is very gentle and restrained and accompanied by an unusually soft and mild petit grain note. I get a floral impression - mainly jasmine - added in the drydown, with the base adding some light fragrant wood. These notes never take off into full flight on my skin and remain a bit attenuated, but this might make it a good summer office scent on cooler days for some. Limited silage and projection, bit with a surprisingly good longevity of around six hours. This perfume attracted my attention because it is rather strange. The notes elude me. It is like a spring floral, but I thought I caught a whiff of anise, which must be a phantom note. Really odd, but in an attractive way, especially if you’re seeking a new twist on a lilac-type of floral. There iis something very pleasant, musky yet clean about Caprissimo, which was originally a green chypre but is now a green floral aldehyde. It is powdery and reminiscent of violets and sorbet. The lemon leaf and myrrh accord fills your head and cools in the summer heat as effectively as a dip in the Mediterranean. Notes of osmanthus and blue jasmine are fruity, soft and indolic. It'is perfect for going out in the summer! There are no member images of Caprissimo yet. Why not be the first?